Folding Tennis Table for indoor use. Competition size 274L x 152.5W x 76H cm. This table is on 8 wheels for ease of movement. 4 wheels have brakes to lock the table into place during play…. This toy costs approximately £249.99 (for the latest and best prices make sure you check our retailer list for the Table Tennis Table above). 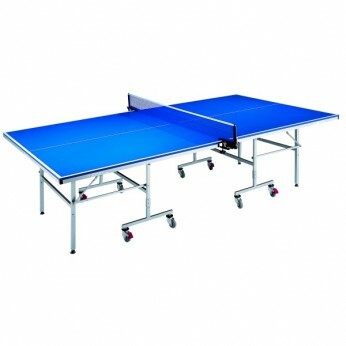 In our review of Table Tennis Table we classed it as being suitable for ages 6 years, 7 years, 8 years, 9 years, over 10 years, Teenagers but recommend you check the manufacturer specific advice before purchasing.